Rajkumar Hirani’s Sanju, starring Ranbir Kapoor as Sanjay Dutt, opened to tremendous applause, rave reviews and huge box office numbers. The film also stars Paresh Rawal, Manisha Koirala, Anushka Sharma, Sonam Kapoor, Dia Mirza, Vicky Kaushal, Jim Sarbh and Boman Irani. It tells the tale of the dramatic and enigmatic life of Sanjay Dutt. This saga depicts the journey of a man through six phases of his real life, not as we saw him through his reel life. Some true stories leave you thinking “did this really happen?” This is one such unbelievable story that happens to be true. 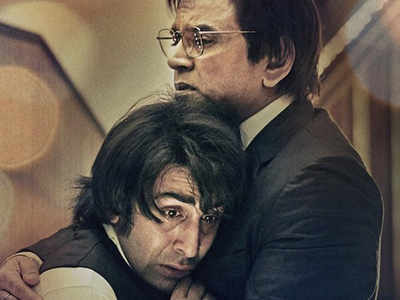 While he was in New York on Monday, noted filmmaker and the producer of the film, Vidhu Vinod Chopra, talked with Stacey about making the film, Ranbir’s performance and reveals what makes him so proud about Sanju. To make him [Ranbir] look like Sanjay was a minor challenge, but really the challenge was for him to transform and reach the soul of the character. All that credit goes to Raju Hirani and then to Ranbir and to Abhijat Joshi, because these were the guys that were on the ground fighting that battle. I was the field marshal sitting in my AC’d office saying ‘this is not working, that is not working’ (laughs). But it’s them – they fought the battles. They are the real winners of this. They have done an incredible job I think. Ranbir’s transformation was incredible. I don’t think any other actor could have done that. It is impossible for me to think of anybody else doing this role. I actually, in the beginning when Raju came to me I said, ‘Can he do it?’ And Oh My God he has done it! I am a great admirer of Dilip Kumar and Sanjeev Kumar and all those actors and this is one actor who for once has reminded me of the great performances I have seen when I was growing up watching Indian cinema. I had the most amazing experience coming into the US. My taxi driver had just flown in from Pakistan, he saw the film in Pakistan and he was raving all the way from the airport. Then the manager at the hotel where I am staying is from Tibet, he walked up to greet me, his name was Jack and he said ‘Oh My God what a movie!’ This is just so interesting coming from India and the first two people I meet have seen the film and were talking about it! You know, Stacey, this film actually, just now the figures have come from India, we have done like 149 crores in 4 days. We will probably hit 200 crores in one week, which is completely unbelievable. The love has been amazing. You know, for me, it has always been about the movie. The affection that the cab driver and the manager showered on me means much more to me than the figures because there has been so much love for this film. Frankly it is a mystery. For us, this is a very, very pleasant surprise. See, after he told us this story, for me what became the most important thing is it wasn’t about Sanjay Dutt anymore for me. It was about fathers and sons. It was about mothers and sons. It was about friends. It was a film that transcended that character though it is a biopic. It is about him but it is also not about him at the same time. I think that is why people are loving it! I think people are just loving the father-son relationship, the friends and the mother-son relationship. It is a film about relationships. There is a father who walked up to me in India before I left, he said his relationship with his son is completely and totally transformed and changed after they saw the film together. His son actually carried his bags for him for the first time at the airport. This is a guy who is known to Raju Hirani and me and he called to say, guys, this has never happened before. So I would want all the dads to take their kids and the kids to take their dads because clearly there is something that is happening there. Like that guy Jack, the manager, he said more than anything else there were three of us, three grown ups sitting and weeping. He said, I wept at least 3 times. He was reminded of his father, he was reminded of his mother so I think the idea of this film is that it will bring you closer to your family. Yes, and you know what for us, Stacey, the reason to make this film was the relationships. Nothing else. The relationship was the most fascinating thing. It is nice when you can touch people. When you can change their relationships. They see the film and the rest of their lives are richer. That is the biggest achievement any filmmaker can ever ask for. It is not 200 crores in one week, money means nothing, it is just a figure. It is a good figure, but it is this, that this film makes a difference. For me, this journey was one of the most difficult ones. When we did 3 Idiots, I know exactly where the film is written because it is fiction. Also, when you see 3 Idiots or PK or Munna Bhai, if something doesn’t work we can create fiction and create a new scene. Here you are actually handicapped because you can’t. I mean, it is fictionalized reality but it still is reality. You really can’t stretch your imagination because there is the character that you are living with and that is a character that is real. So this one was really tough! Very tough. He just wept. He just hugged me and wept. I mean, I have never seen this guy weep like that. He is a big hulk of a man. He hugged me and my t-shirt was wet by the time he let go. He just sobbed. He didn’t say anything. There was just 4 or 5 people in the room – there was Raju Hirani, me, Abhijat, and him and two of his friends and that is it and he just sobbed. See Raju is a guy who kind of worries a lot so he was kind of worried about the reaction. I was pretty certain. This was 3-4 days before release. He never saw the film. He didn’t interfere. He had no idea what we were making. That was my clear understanding. I didn’t want a film where he would sit on the edit and say oh do this or oh do that. So for us, it was a big relief because he just wept. You know, when a big man like that weeps it was quite touching and nice. Overall I think that the movies are improving. But I think the most important thing really is for the viewers, particularly in the US, who are more literate in terms of cinema – who appreciate good movies. Like this manager Jack, he said he saw another film 2 weeks back and he was annoyed! He said, how can they make such trash! So the point is if the viewer says this is trash, we don’t want to watch it, then it will stop being made. I think the time has come where cinema is finding movies that are better and better. And the fact that a film like Sanju, which is really not the usual boy meets girl, loses girl then gets girl film does this kind of business, it kind of opens the door for other filmmakers also to try and experiment. Stacey, 60% of the film I am directing is over. There is a teaser that is ready. Hopefully you, and all my friends and family in the US will be happy to see that film because it has taken me 5 years to make it. I think you will like it! We will talk about it when it is ready. I would like to thank Mr. Chopra for taking the time to talk with me. It was wonderful! 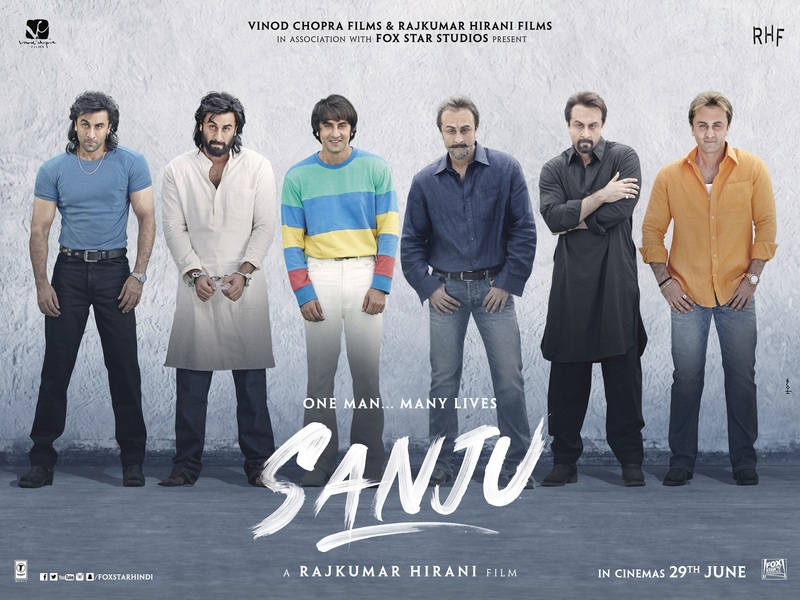 I did take up your challenge and I have to say I loved Sanju! Ranbir was absolutely brilliant, the story was riveting, the relationships the heart of the film. Even though it did make me cry, I actually can’t wait to see and experience it again. 16 queries in 0.653 seconds.